In a typical fly ash processing system, the material produced by the combustion is captured by an electrostatic precipitator (ESP) or baghouses before the flue gas reaches the chimney. 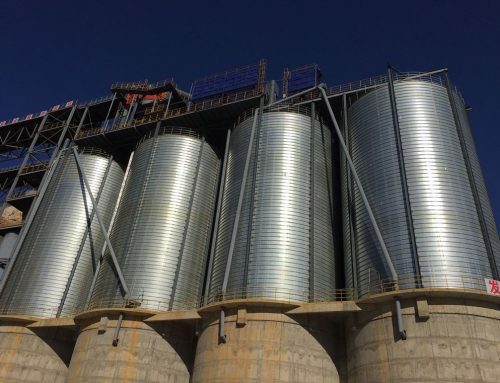 These ESPS and baghouses generally have multiple cone hoppers at the bottom where the ash is collected by gravity and then transferred to a fly ash storage silo.These storage silos generally have provisions for a truck load-out to carry the fly ash for disposal or reuse. Fly ash handling systems often encounter problems due to friction properties and fine particle size distribution if they are designed without following a prudent engineering approach. Therefore, we have established strict design standards and comprehensive preventive measures for our fly ash steel silo. 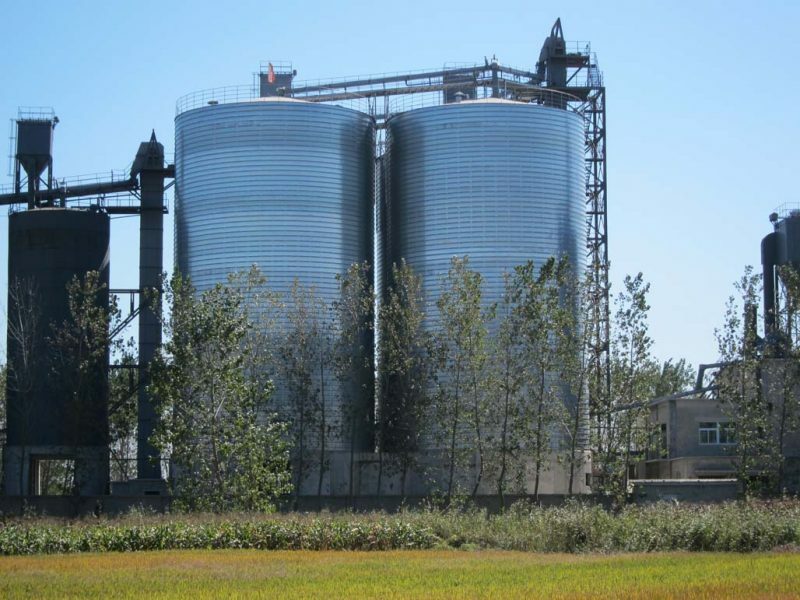 Our steel silos are constructed using the most advanced construction techniques and using the highest quality steel, can meet the needs of safe storage and economical use of fly ash. We have professional engineers, who can design fly ash silos according to the performance and structural requirements of our clients. What’s more, our fly ash steel silos have suitable interior coating support to make the service life as long as possible. 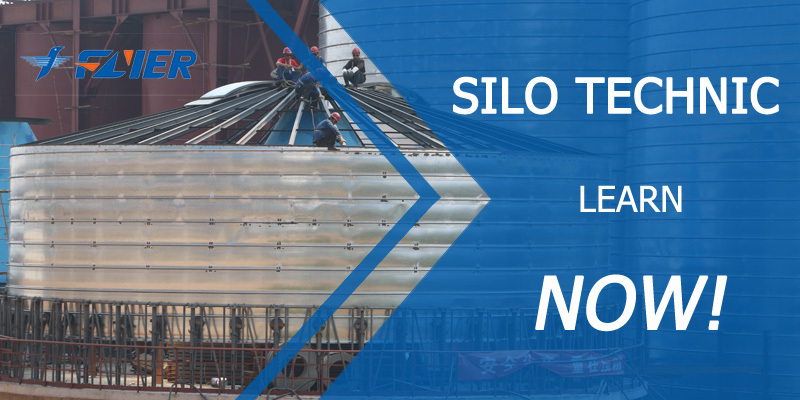 We have the most advanced silo construction equipment and professional construction teams. First of all, in the construction site of the fly ash silo, temporary warning signs should be set, and the specified construction scope should not be exceeded. In addition, non-constructors are not allowed to enter the construction site. Close the pipe where the fly ash enters the silo and bundle the wires and hang the warning sign. When there is no more fly ash in the silo, the downstream equipment should be put into the repair position. Lighting lamp should be put into the fly ash silo from the hole in the center of its roof. The cleaners can not touch the lighting tools and wiring. In the process of cleaning up the fly ash silo, the proportion of personnel in the silo and out the silo should be greater than 2:1. Professionals should be sent to the outside of the fly ash warehouse for monitoring. The cleaners must be well equipped with protection gears before they enter the fly ash silo. The gears should include anti-dust masks, goggles, safety shoes, safety helmets, etc. When entering the fly ash silo, the cleaners have to fasten two safety ropes, one fixed to the support structure outside the dust collection device, the other fixed to the pool on the ladder. Fly ash is also called coal ash or “pulverised fuel ash” in the United Kingdom. It is one of the coal combustion products, composed of the fine particles that are driven out of the boiler with the flue gases. Ash that falls in the bottom of the boiler is called bottom ash. It is a general name used for the residual products of combustion that rise with flue gases. Chemically and physically, fly ash can have many forms depending upon the type of fuel burned and handling methods. The typical fly ash contains a significant amount of silicon dioxide and calcium oxide, which make it frictional and abrasive. Usually, fly ash has a fine particle size distribution with most less than 100 microns. Given the fine particle size, frictional nature and high temperature, fly ash can be a difficult material to handle reliably. In modern coal-fired power plants, fly ash is generally captured by electrostatic precipitators or other particle filtration equipment before the flue gases reach the chimneys. Together with bottom ash removed from the bottom of the boiler, it is known as coal ash. to melt ice on rivers, roads or parking lots. As we all know, fly ash has wide application, but its wide range of uses also increases the risks of environmental pollution. The usual pollution contains groundwater contamination and air pollution. Therefore, it is important to store fly ash to prevent it from polluting environment. 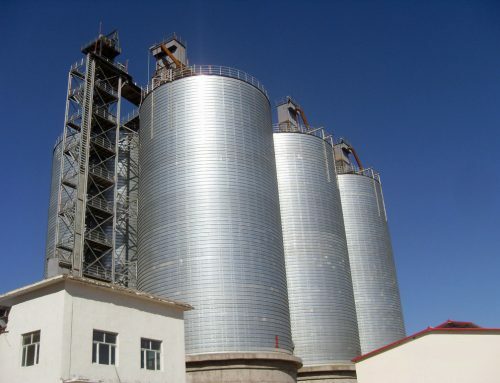 Steel silo is one of the good choices for fly ash storage. 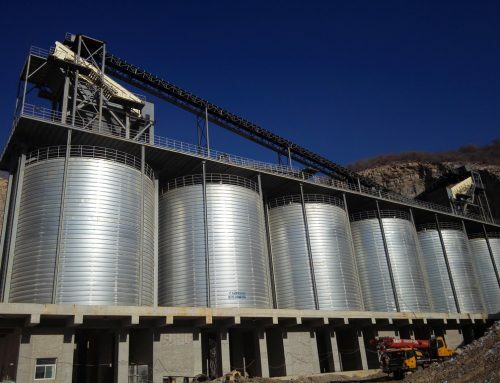 And our steel silos deserve your first choice if you decide to store fly ash in steel silo. We receive enquiries in English, Español (Spanish), Русский язык (Russian), Français (French) and العربية (Arabic).. Our professional team will reply to you within 24 hours. Please feel free to contact us!